Private level entry rambler surrounded by a large open 8,493 sq ft lot. 3 bedrooms and 1.5 bathrooms. Fabulous family room and big country kitchen with storage facing the back for privacy. 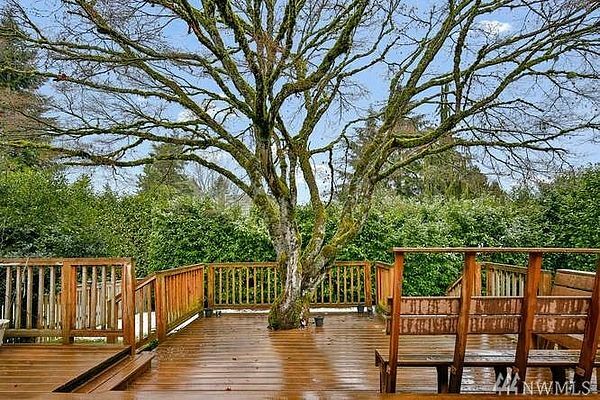 Beautiful HUGE lifetime trex deck for entertaining. Extra space for RV parking. A ton of parking off the street! Newly painted outside. Newer carpet, kitchen flooring and bathroom vanity. New furnace and spacious back yard. Great location and a great home!